To make an appointment for a consultation, email Nancy Courtney, Research Impact Librarian. Scholars are often asked to describe the impact of their work when applying for positions, for promotion and tenure, and for grant funding. This may include traditional factors such as citation counts and journal reputation and newer measures that look at the reach and visibility of the work through downloads, saves, and views, and mentions on blogs and other social media. The resources in this guide will help you track citations and mentions of your work, locate the research metrics used in assessing scholarship, and increase the visibility of your published research. To meet with a librarian to discuss any of these topics and how they apply to you in more detail, email Nancy Courtney at courtney.24@osu.edu. find out how many times my article has been cited? find a journal's impact factor? see citation metrics for all my works? compare journals in my discipline? look for citations to my book or chapter? 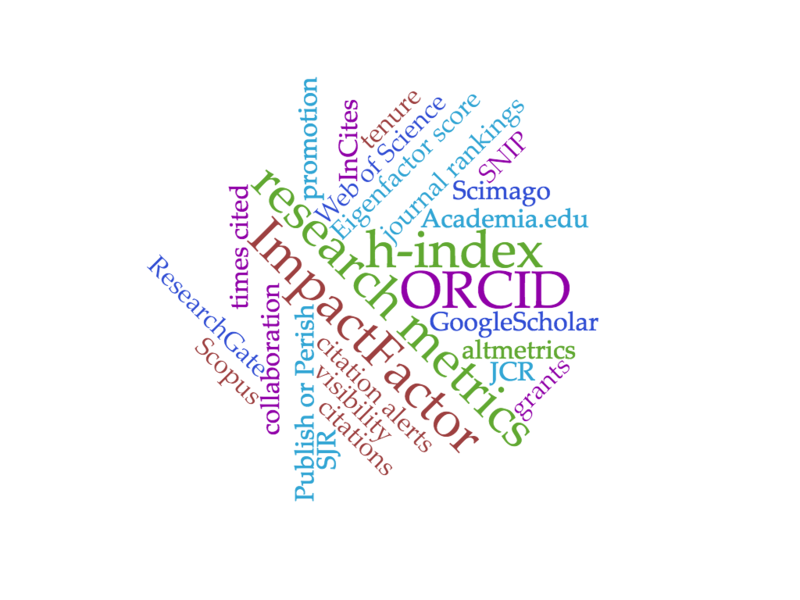 register for an ORCID author identifier? choose a journal to publish in? promote my work on social media?